Nice, Really nice, the words flow perfectly. Thanks. I had fun with this one. Yes they are little rascals! Yes! But it doesn’t deter him. Ha Ha! The look in his eye is pretty intense, he is miffed. Your last lines capture it perfectly! Thanks. Squirrels really do exude attitude! Glad to hear it brought a smile! Yes, I know what you mean. This little guy looks so naughty..! That he is. He managed to get the lid of the feeder off and chew the top of the tube to get to the seed! 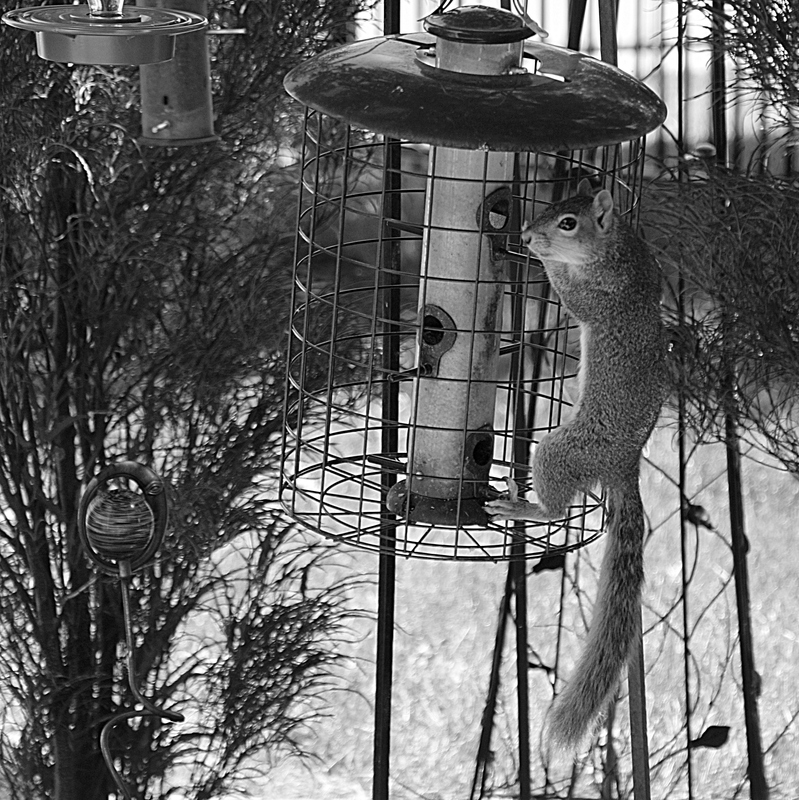 I don’t think there is anything you can do to deter the little critters… they can always find a way to get to the food. Great post! The have great persistence and they need to eat too!